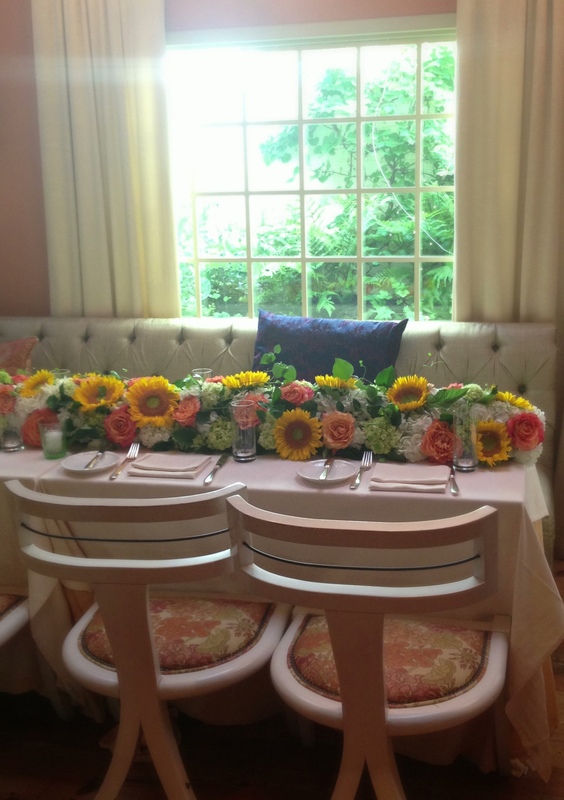 The Sunflower Room at Restaurant Eve in Old Town is THE place to hold a special event – like this “oh so appropriately” themed Sunflower Wedding. 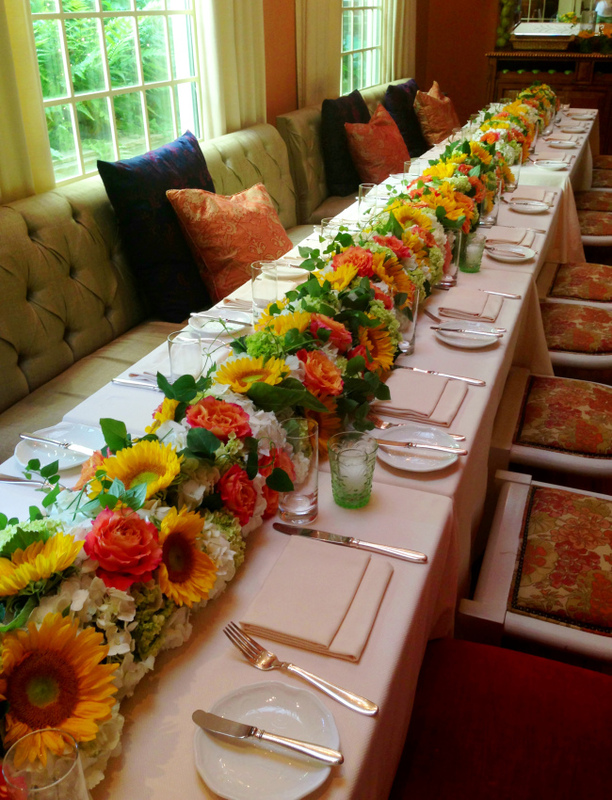 The Bride is a food and flower lover, who made sure that her special night had an abundance of both. 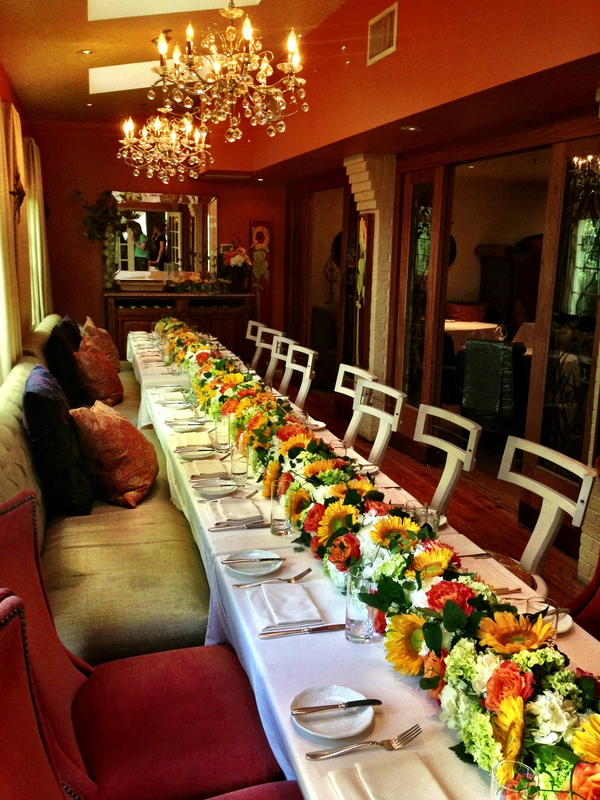 While it was a challenge to construct the 20′ long centerpiece, the kind folks at Eve had the even greater task of where to place several courses of wine and delicious eats. 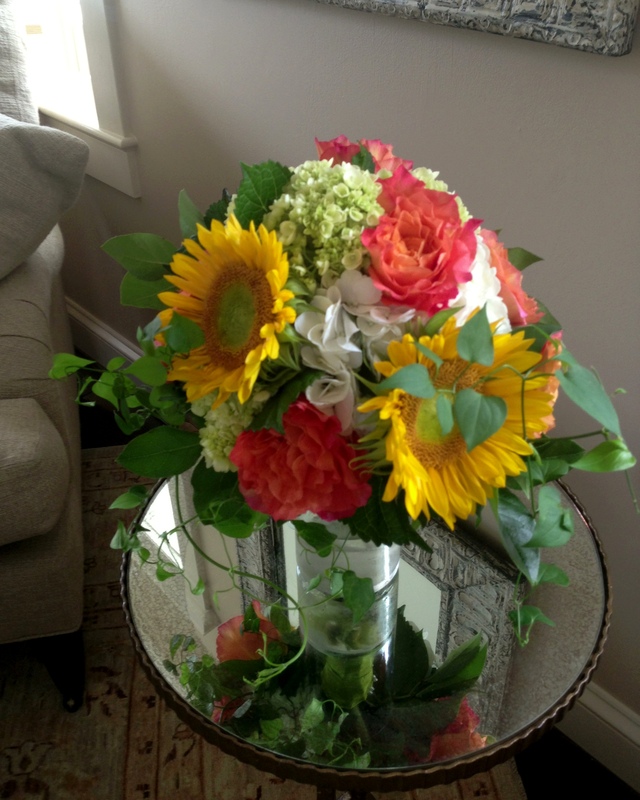 True to form, they worked their magic and the Bride emailed us during the event to say how thrilled she was. 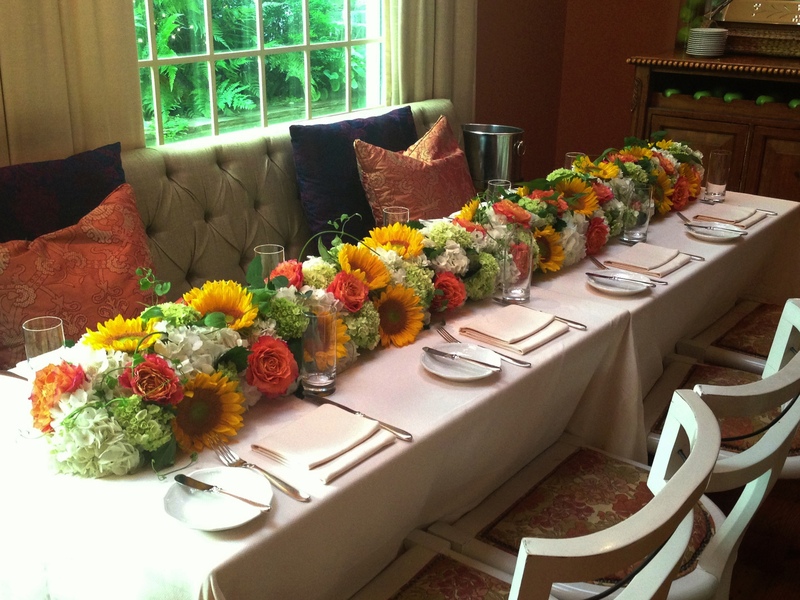 A big thanks to our friends at Eve for collaborating to complete the Bride’s vision!